A dozen stems (or more!) 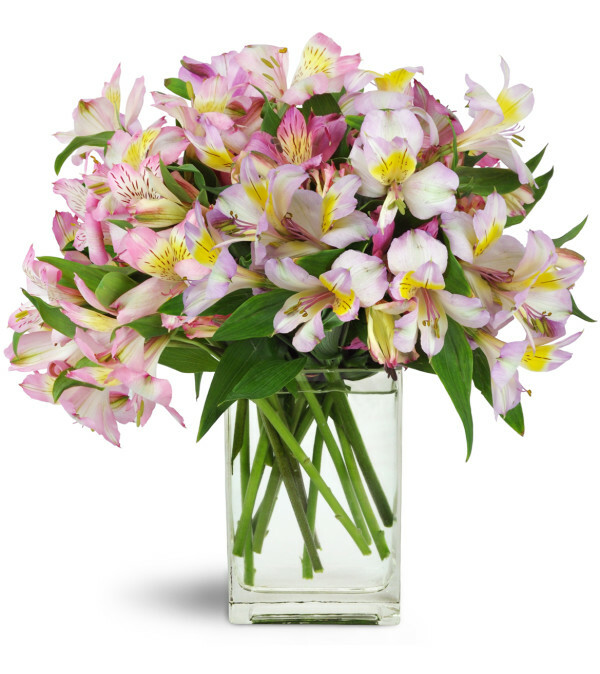 of delightful Peruvian lilies are a perfect gift for any occasion! Add a balloon for an extra festive birthday gesture! 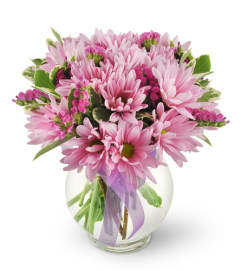 Delicate yet long-lasting, it's a great way to send a burst of cheer. Bountiful stems of pink and mauve alstroemeria are carefully arranged in a modern rectangular vase.